In the last post I mentioned how a genius with one of the highest IQs ever documented has withdrawn from the world to a remote location in Australia after concluding that general knowledge of the understanding he has attained, if released, would spell the end of the world as we know it. I only learned of this when we sent him a summary of our quantum research findings, and attempted to get an invitation to visit him while I was in Australia in 2011. Since he didn’t invite me to visit, and he wasn’t specific about the nature of what he considered to be very dangerous knowledge, I wasn’t sure to exactly what concept or concepts he was referring. Since 2011, I’ve had time to think about it and I have identified what I think was the probably the knowledge the disappearing genius was so concerned about. I outlined it in the last post; it was the concern that, due to the principles of quantum mechanics, the observation of the moment of the big bang will reduce the wave function of the universe to a single state in which everything is determined. Then, as Laplace, Descartes and others have believed, with our knowledge of the physical laws governing the universe and the initial conditions of the origin event (the big bang), all the details of the past, present and the future, however minute or extensive, can be known. This would be a state of total predetermination, which would rob us of any incentive. Total knowledge of the past, present and future would destroy the enjoyment of risk taking and adventure into the unknown. In a finite deterministic universe, a computer program could print out the entire history of one’s life on the day of birth. Would anyone want to live in a world like that? Wheeler applied this principle to astronomical observations and noted that conscious choices made in the present could affect things in the past, even the very distant past. See his book “At Home in the Universe” page 126, for the thought experiment that led to the Delated-choice experiment. He noted that when light from a distant star is bent around a galaxy acting like a gravity lens, we can determine on which side of the galaxy a photon passed millions of years ago, by the way we choose to set up our observation today. This led him to propose a laboratory experiment called the delayed-choice, double-slit experiment that would prove or disprove the validity of Bohr’s solution to the EPR paradox, the idea that elementary phenomena only become localized when they impact irreversibly on receptors, and that before that they exist in a state of multiple probabilities until an observation is complete. Here’s how it works: A light source is set up to shine on a wall with two slits in it and a photographic plate is placed on a second wall on the other side of the first wall from the light source. Photons behave like waves if both slits are open, and like particles if one slit is closed. This means that whether a photon is a particle or wave depends on a choice that the physicist makes. Furthermore, Wheeler thought, if Bohr’s answer to the EPR paradox and the results of experiments like the Aspect experiment based on Bell’s theorem are correct, and there is no objective phenomenon until it registers on a receptor, we should be able to make the choice to open or close a slit any time before the light impacts the photographic plate and get the same results. Within a few years of Wheeler’s proposal, two teams of experimental physicists, one in the US and one in Germany, independently performed the delayed-choice experiment (with photons and other elementary particles) and the experiment worked, validating the Bohr solution to the EPR paradox. The delayed-choice experiment also reveals the fact that time is not what the physical senses lead us to believe it is. Matter/energy phenomena originating from a source on one side of the wall with the two slits in it remain in the probabilistic state described by the Schrӧdinger probabilistic wave function, until the choice to open or close one of the slits is made, as long as the choice is made any time between the time the source is turned on, and the wave or particle impacts on the photographic plate. This leads to the realization that elementary phenomena, the experimental apparatus and the conscious choice of the experimenter are all intimately connected parts of the observation. This realization lends considerable credence to the idea that our eventual observation of the origin of the universe will reduce the entire history of the universe to one deterministic chain of cause and effect events. Quantum physics tells us that the multiplicity of possibilities that appear to be open to us now, will be reduced to one predetermined outcome. The ever-expanding possibilities of many worlds will be reduced to one concrete finite reality. The absolute knowledge of the nature of the universe will be ours. But this is not necessarily a good thing, because we will no longer have any illusion of free will. We will have destroyed the mystery of existence, and painted ourselves into the corner of absolute knowledge. The good news is that the discovery of gimmel, the third form of the substance of reality, the part of reality that carries qualities of consciousness, changes everything. I didn’t mention gimmel in this discussion until now because we hadn’t discovered gimmel before I went to Australia in 2011. I had discovered through the application of the calculus of distinctions and Fermat’s Last Theorem why protons and neutrons are comprised of three quarks, and how to put consciousness into the equations using the calculus of distinctions, but it wasn’t until we had defined TRUE units and applied TRUE unit analysis to the Diophantine equations of the conveyance expression, that the significance of gimmel became clear. The complete explanation of how the existence of gimmel changes things involves understanding and using the mathematical tools of TDVP, including the calculus of distinctions. A detailed presentation of the calculus of distinctions is beyond the scope of this blog, but a general description of the logic involved is not. For readers who want to pursue an understanding of the calculus of distinctions, a good place to start is with George Spencer Brown’s calculus of indications in his book “Laws of Form”. A presentation of the basics of the calculus of distinctions is provided in Appendix D in my book “Transcendental Physics’, first published in 1997, available now on Amazon.com. If the big-bang expanding universe is an illusion, then the end of the world scenario of our retiring genius is also an illusion. Is it possible that the popular big-bang expanding universe is an illusion? My answer is: Yes, not only is it possible, it is provable. The mathematical/dimensionometric applications of the calculus of dimensional distinctions, dimensional extrapolation and TRUE unit analysis that lead to the proof alluded to above have been presented briefly in earlier posts, and in detail elsewhere in other publications by Neppe and Close, or Close and Neppe, most of which have been peer reviewed. Those details are beyond the scope of this discussion, but the overall logic and conclusions are not. The ‘collapse of the universal wave function’ dilemma is resolved with the proof that reality consists of the interaction of mass, energy and consciousness in nine finite dimensions. This proof is especially strong, cogent and powerful because it corresponds with pure number theory, clarifies algebraic geometry and resolves a number of questions that have puzzled physicists for decades, including the three quark composition of protons and neutrons, the intrinsic spin of fermions and explanation of the Cabibbo mixing angle of quarks. I hope the reader will forgive me for indulging in a little bit of rhetoric here about the beauty and elegance of the calculus of distinctions, because this rhetoric is not absolutely necessary or critical to the discussion at hand. But the beauty of the calculus of distinctions is that it is the most appropriate mathematical system possible for application to quantized reality. And when the smallest possible quantum of reality is defined as the most basic unit of description, all combinatory equations become Diophantine (i.e. integer equations) and the infinitesimals of Newtonian calculus, that cause confusion in quantum physics, are gone. The calculus of dimensional distinctions begins with three dimensions, exactly where Newtonian calculus begins to become intractable. In the application of the calculus of distinctions and dimensional extrapolation we see that extrapolation from the 3S-1t (three dimensions of space plus one quantum point in the next dimension, the dimension of a perceptual timeline), is Euclidian, i.e. ‘flat’ as opposed to curved, whereas a four-dimensional domain (3S-1T), is non-Euclidean, meaning that it has internal curvature. By moving from 3S-1T to the next set of four mutually orthogonal dimensions, dimensional extrapolation can be accomplished again with Euclidean geometry, using the Pythagorean Theorem. It turns out that, consistent with pure number theory, a new type of number is projected after each set of three dimensions: real numbers (integers in Diophantine equations) are sufficient for the first three, but imaginary numbers, i = the square root of – 1, are needed for the next three, and complex numbers, A + Bi, are needed for the third three. These nine dimensional domains, each embedded within the next higher dimensional domain, just as the first three are, appear to be sufficient to describe all known phenomena observable in 3S-1t, the world of our physical senses. This takes care of dimensional domains, where dimensions are defined as distinctions measureable in terms of variables of extent, - like space, time and consciousness, but what about distinctions of content, like mass, energy and information? 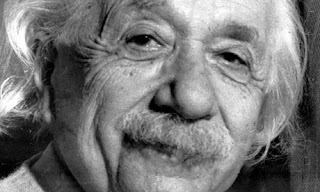 Einstein’s work made it clear that four-dimensional physical extent, space-time, has no meaning without content, mass and energy. The calculus of distinctions makes it clear that the nine dimensional extent has no meaning without mass, energy and consciousness. When distinctions of mass and energy, which are equivalent, with their equivalence defined by the equation E = mc2, are included in the space-time dimensional domain mathematical description of reality, we have the general theory of relativity, where the curvature of four-dimensional space time is defined by mass/energy density. With the inclusion of consciousness, we have TDVP, the theory of space, time, consciousness, mass, energy, and consciousness. With this background, we are ready to resolve the disappearing-genius, universal-wave-function collapse dilemma. From the limited perspective of 3S-1T, the propagation of light, in a non-Euclidean (curved) nine-dimensional domain, will cause distant objects to appear to move away from an observer with velocities that increase with distance. This illusion will be the same regardless of the observer’s location. This is why the cosmic background energy is so uniform and appears to be the echo of a big bang. But you may object that straight-line movement, like the propagation of light, in a symmetric non-Euclidean (curved) nine-dimensional domain will eventually return to its starting point in space and time, and that would mean that the history of the universe would be forever repeating, again destroying all spontaneity. If so, you are slightly ahead of me. Movement in a nine-dimensional ‘hyper-space’ reality is analogous to movement on a three-dimensional sphere, however, the universe does not consist of empty space-time. the mass/energy density of distinctions of content cause the dimensional curvature to vary near massive bodies and objects moving with velocities near light speed, and even if the effects of non-uniform density might cancel out over the great distances of an otherwise symmetric universe, quantization, with Heisenberg’s intrinsic uncertainty, might cause variations to occur that would mean that no history is ever repeated exactly. In addition, the discovery of gimmel as a real part of the stable structure of physical reality also proves the point, because taking any point in the nine-dimensional domain as the space-time point of origin of the universe as we know it, we find that Hydrogen, Deuterium and Helium atoms had to already exist, and this means that, as indicated by the calculus of distinctions test I performed in 1989, the expanding universe is a perceptual reality, measurable in 3S-1T, but ultimately an illusion. Our common sense minds, dealing with conceptual reality constructed from the limited data supplied by our physical senses says: But how can it appear to be expanding based on physical measurements, if it is not? This is completely analogous to the arguments of people who did not understand Einstein’s relativity (and probably still don’t) who said how is it possible that two observers travelling at a large fraction of the speed of light relative to each other, can each see the other’s time slowing down? (The clock paradox.) Einstein’s answer was that there is no contradiction because each observer is measuring from his inertial frame which is moving relative to the other’s inertial frame of reference. Thinking that this is an unresolvable paradox arises from the mistaken idea that there is a universal reference time. While this appears to be the case with the relative velocities we normally experience, it simply is not so. Time dilution occurs with even the slightest relative motion, it is just too small to be noticed or measured with current technology until is a significant fraction of the speed of light. The bottom line: Reality is not boring. Thanks Brian; may your neg-entropy ever rise! And yours, Ed! Forever, part of the One, together in harmonious cosmic consciousness! I joke not!